CORTIZO continues bolstering its international presence by building a new Production and Logistics Centre in Romania for powder coating, storage and distribution of aluminium profiles for architecture. In June 2015, work began on the facilities which will be located on a plot of 37 000 m², next to the A1 highway, in the metropolitan area of Bucharest. The Galician multinational will invest 6 million euros and is expected to open in spring 2016. This Production and Logistics Centre will have a covered area of 10 500m². It will have a powder coating plant with the most advanced technology, areas allocated for storage of the raw and powder coated profiles, accessories and hardware. It will also include an assembly line for thermal break and a 350 m² showroom that will display the main windows, doors, façades, composite panel, balustrade and solar protection systems designed by the R+D+i Department. These facilities in Bucharest will also have an Architecture and Engineering Department of CORTIZO which purpose is to offer personalized technical assistance to the architects of the country. With this project, CORTIZO strengthens its presence in Romania where it has its own sales network since 2008. 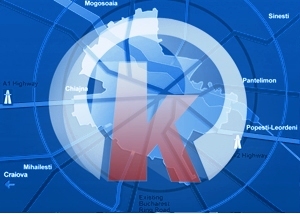 It already has 4 Distribution and Logistics Centres in the cities of Cluj, Timisoara, Bacau and Bucharest. They are all connected to CORTIZO’s plant in Slovakia through the company’s own fleet of trucks. The use of these synergies makes it possible to supply with absolute assurance and immediacy to any point in the country, offering an efficient response to the increasing demand in the Romanian market. In that regard the Delegate of Cortizo in Bucharest expressed: “The leadership in the markets of Banato, Transylvania and Moldavia reflect that CORTIZO ROMANIA has a demand in this area that makes it necessary to have its own plant. For this reason, CORTIZO has decided to create a production structure in Bucharest”, claimed Gabriel Savu. CORTIZO aluminium systems for architecture are present in landmark buildings in this country such as the Secret Services Headquarters, the building of Research for Applied Sciences of the University of Craiova or the Shopping Centre. CTP has acquired the Prologis Park, of modern industrial space in Bucharest, Romania. ProLogis Park Bucharest A1, located along the Bucharest-Pitesti highway, Romania's primary east-west interstate, approximately 23 kilometers west of downtown Bucharest. ProLogis Park Bucharest A1 currently consists of two completed facilities totaling 570,000 square feet (53,000 square meters) and two facilities under development totaling 538,000 square feet (50,000 square meters). The award-winning park, which will comprise nine buildings totaling more than 3.12 million square feet (290,000 square meters) at full build-out. More than 30 years ago, H.Essers became the first Belgian company to provide integrated logistics services in combination with its own transport activities. 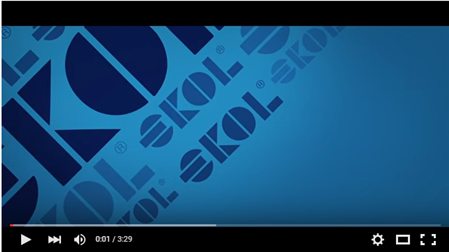 To this day, this combination remains one of our company's major assets. 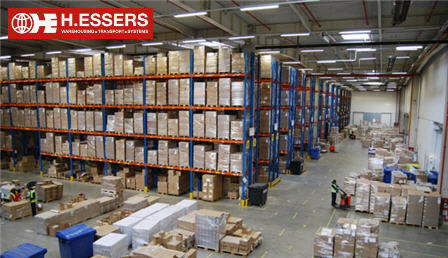 With a logistical capacity of over 880,000 m², H.Essers is the largest player in Belgium. It is the only Belgian company with two warehouses with a high Seveso threshold level and three warehouses with a low Seveso threshold level. This makes H.Essers the market leader in dangerous goods logistics, next to the company's leadership in markets as pharma, healthcare and dangerous goods. 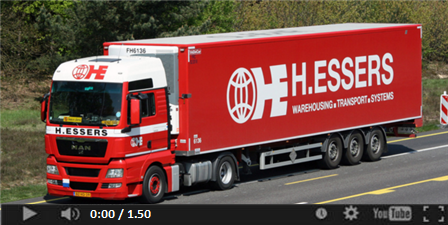 H.Essers offers logistics services that need to be performed on the client's site itself. This can range from warehousing, to internal transport or other logistical services such as planning, value added services ... These activities can be equipped with own H.Essers staff or staff of the establishment itself. Good arrangements about this has to be made in advance. It is also possible to implement our own warehouse management systems (WMS) on-site and advice on quality, safety and environmental issues. The entire organisation and control of H.Essers warehouses is based on the proprietary Warehouse Management System (WMS), which is supported by Radio Frequency Data Control. Our system can easily be integrated into your own systems and adapted to your needs. Our proprietary WMS ensures our clients will have access to an optimum planning schedule and have full real-time control tailored to their specific supply chain. Our company headquarter in Avcilar-Istanbul has warehouse facilities that enables storage of every kind of goods to assist logistics services provided by Gökbora. Expectation of our clients met exceedingly by high quality service given our expert staff, stowing machines for every tonnage and computer based barcode tracking possibilities. We have customs and customs free areas to storage safely for your textile, food or general purpose goods. In this way superior productivity is provided to our customers by saving of storage place, investment and time. We offer warehousing services at; Istanbul - Avcilar, Bursa, Izmir, Adana, We are proud of serving you from Anatolian side of Istanbul with our recently opened new warehouse in Tepeören. Gebrüder Weiss has handled the air transport of a 19.6-ton mobile analysis laboratory from Romania to Qatar. The short timeframe of 14 days required by the client called for chartering a freighter, but the cargo itself could not be secured in a standard way — a logistics challenge. The laboratory measured 11.6 meters long, 4.8 meters wide and 3.4 meters high. 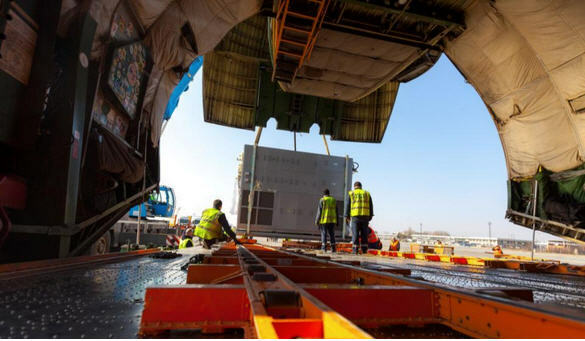 Gebrüder Weiss chartered an AN-124-100 air freighter to carry the lab and 20 tons of small parts and spares, Project Cargo Network said in a statement on behalf of its member. Visible modifications to the outside of the analyzer house were strictly forbidden, which meant that the usual procedures to provide additional lashing points like welding and bolts were not possible. Gebrüder Weiss came up with an unusual solution to both safely secure the cargo and avoid visible modifications. The team used a "disappearing" steel base plate bolted to the floor of the analyzer house. The plate provided 24 lashing eyes all around the lab. Protruding lights on the lab had to remain in place, which presented a second challenge. Steel bars with lashing holes at both ends were placed on the roof of the analyzer house as a provisional securing against vertical movement only — no screws or bolts required, Gebrüder Weiss. Once secured, the cargo was moved by truck from the factory in Cluj, located in the northwest of Romania, to Bucharest Otopeni Airport, where customs procedures and x-rays were completed. A mobile crane was used to lift the unit off the trailer and onto the AN-124-100's ramp system, which can hold weights up to 120 tons and allows loading even at ill-equipped airports. Once the house had been lifted onto the ramp, cabling was used to pull it into the freighter with about 10 centimeters of clearance on each side. It was then flown to Qatar and transported to a fertilizer plant. "The flight to Qatar, the handling at Doha Airport and the final delivery to a fertilizer factory just 20 kilometers away from the airport progressed without any problems or delays," Gebrüder Weiss said. "The aftermath of the loading was as uneventful as the preparation phase stressful." Industrias Lebario, s.l., an Izurza, a Spanish manufacturing company, has recieved investment capital from Sociedad Gestión de Capital Riesgo del País Vasco (SGECR), through Fondo Ezten. The company specialises in designing and manafacturing aluminum & magnesium high-pressure injection moulds for the automotive parts sector. Industrias Lebario will use the funds to expand its production capacity in Romania, India, China, Portugal and Turkey. 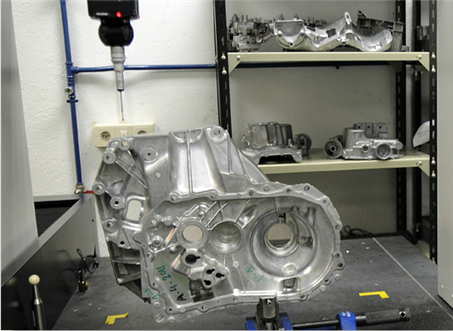 The company activities in Romania are associated with the production of high-pressure injection moulds for the Renault-Dacia Group, whose markets across Europe are expanding rapidly.